Should I apply for a visa now, or should I wait until closer to the time of travel? 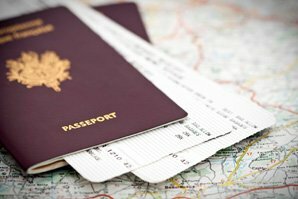 What type of visa should I apply for for my group: a group visa or individual visas? How do I obtain a China Visa? What do I need for a visa application? What do you mean by passport photo? How do I get an invitation letter from your company for my visa application? Do I need a visa for a visit to Hong Kong? Do I need a visa to enter Macau as a tourist? How do I get a visa for a visit to Shenzhen Special Economic Zone? How do I get a China visa in Hong Kong? What type of visa do I need? Should I apply for special visa when leaving and re-entering mainland China? How do I get my visa extended? What are the requirements for a UK man to be able to reside in China when married to a Chinese national? The China visa is generally valid for 3 months from the issue date. Please apply for your visa within 3 months of entry into China, according to your travel itinerary, and avoid expiry of the visa. Also don&apos;t apply too late to avoid the extra cost of express application processing. Usually it is recommended to apply about 6 weeks prior to travel. Typically tourist visas are processed in 4 working days. Please also decide the duration of stay in China. The permitted duration of stay of Chinese tourist visas are generally up to 30 days. If you need to stay longer, it is suggested that you contact the Chinese Embassy before making the application or ask your travel advisor for more information. You should apply for individual visas. 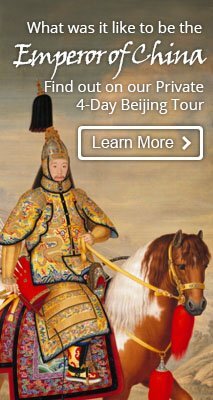 Tour groups with China Highlights usually don&apos;t require a tourist visa. A group visa is usually applicable to an organized group, which is arranged by tour companies in the originating country or in China. 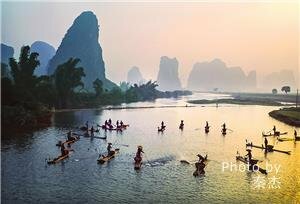 It requires the tourists to enter and exit the country at the same time as a group, and the Chinese Embassy in your country would ask for a special document that requires an official stamp from the tourism bureau in China. China Highlights does not issue this type of document. 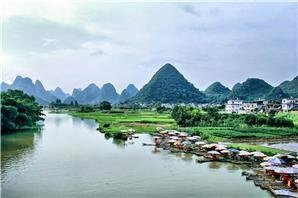 See more information about types of China visa. China Highlights recommends that you obtain your visa before leaving the country where you live. 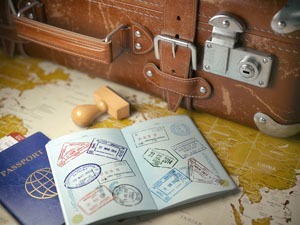 The costs and the length of time to process a visa vary from country to country. Please check the website for the Chinese Embassy in your country to find the information applicable to you. Read about how to apply for a China visa. 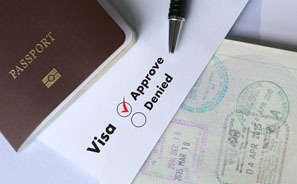 Your passport (original, not a copy), which must be valid for at least 6 months from the date of travel, with at least one blank visa page (amendment pages and pages with bar codes are not acceptable for visa stamping). One completed, signed Visa Application Form and two passport photosfor each passport. Application forms can usually be downloaded from the embassy website. This visa application form (2013) is used for most visa applications. Download it, print it out, and fill it in. The Chinese consular departments requires a photo similar to the one in your passport. They only accept photos which are head-only (a little neck and shoulders is ok), full head shown without adornment (unless usually worn, e.g. glasses and religious headgear), with a white background, approximately 45mm by 35mm. Cut-outs from personal photographs are not acceptable. How do I get from your company for my visa application? We can supply an invitation letter to our clients upon request after written confirmation of the tour booking. Your travel advisor can give you more information about it when you apply for the visa. Upon receiving your information, we will fax you your tour confirmation letter on our official stationery with our company seal. Residents of most countries can enter Hong Kong without applying for a visa in advance and are allowed to stay for 90 days. A visa will be issued on arrival. See our Hong Kong visa information. 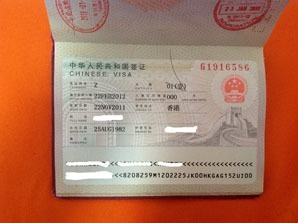 d) Nationals of China&apos;s mainland with valid Macau entry/exit documents. If you join in a tour group your visa should be processed by your travel agency in Macau. See our Macau visa information. You can apply for a China visa in your home country before leaving for China or in Hong Kong, or ask a travel agency to apply for a 114 Group Visa if there are 3 or more people in your group. It is possible to get a tourist visa (L), a business visa (M), a work visa (Z), a student visa (X), and many other types in Hong Kong. It can be obtained with the help of a travel agent, but at least 3 full working days should be allowed for this procedure. Read more on How to Get a China Visa in Hong Kong. Single-entry China tourist visas are usually valid for 3 months after the issue date, and will permit you to stay in China for a maximum of 30 days. This visa will allow you to travel as a tourist or conduct general business activities. Most people need only to apply for a single-entry. You need to apply for "double entry" or "multiple entry" visa if you need to leave and re-enter mainland China. Even when go to Hong Kong or Macau from mainland China you still need to have a "double entry" or "multiple entry" visa. China&apos;s official regulations prevent independent foreign travelers from traveling to Tibet. All foreign travelers must book a tour through a Tibet travel agent and be accompanied by a Tibet tour guide. China Highlights Travel offers great Tibet tour packages, and we will also take care of your Tibet Entry Permit (through our Tibet agents). A China visa is required in addition to the Tibet Entry Permit. Read more on Tibet Travel Permits. Foreigners who want to stay in China beyond the duration of their visa need to apply for an extension. 2. a completed visa extension application form containing the reason for the extension. The length of the extension depends on the type of visa, and multiple-entry visas can not be extended. You are advised not to overstay the duration of your visa, or fail to apply for an extension before your visa expires, as you risk being heavily fined and have your travel plans disrupted. Please contact your travel advisor for assistance on visa extensions. Ask your tour guide for assistance, and immediately report the loss to the nearest Public Security Bureau, who will issue a passport loss report. Go to your hotel and ask for a stamped proof of your residency. You will need those for a new passport application. The processing time is about 2 working days. After the new passport is issued, go to the Public Security Bureau and apply for new visa, so you can continue your trip or leave for your country. 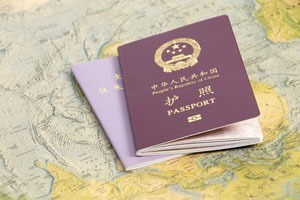 When married to a Chinese you are entitled to a one-year L visa, obtainable by presenting your marriage certificate (or authorized translation if not Chinese), wife’s identity card, registration of residence certificate (you must register where you live at your local police station), passport, and fee at your local visa office. On an L visa you can’t legally do paid work or study an officially recognized course in China, so if you want to do either of these you should apply for the appropriate visa, usually at the Chinese embassy in the UK. Permanent residence in China is difficult to obtain. For more information about relevant requirements, see http://www.gov.cn/english/2005-08/29/content_27379.htm.